So you have a vision for the future. Virtually every leader does. But how do you know whether your vision is going to catch on—whether it will capture the imagination of people and actually move them forward into a different future? I mean that’s a tall order. And any leader who’s even spent a few minutes up front casting vision has asked themselves whether their vision will catch on or not. Sometimes even after you unveil the vision, you live for months waiting and wondering whether it is resonating widely or whether it’s simply going to fizzle and die. 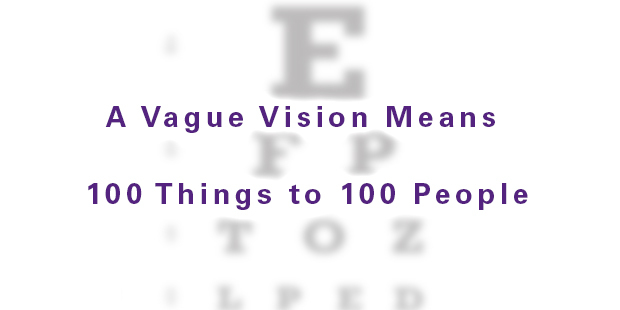 Is there a way to know whether your vision will catch on, or whether it will sputter on before it dies out? In my experience, a vision needs at least 8 ingredients for it to resonate with people. This isn’t scientific…it’s just experience. I know when things haven’t caught on the way I had hoped in the past, I’ve gone back to these elements to ensure they were in place. 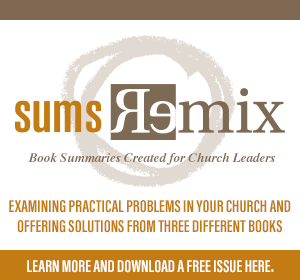 Hopefully they can help you craft a clear and compelling vision for your organization or ministry area that resonates. 1. It’s not scripturally sound. I think the most compelling characteristic of a great vision is that it’s biblically sound. I take a bit of heat in the comments section on my blog for not citing scripture in all my posts or telling people to pray about things, but I promise you that’s the foundation of what I believe and how I try to lead. It’s just if I said that every single time, it would be a bit redundant. I want to talk about the things in these posts that are easy for leaders to miss or overlook. But let’s go there. Scripture resonates. If you want your vision to resonate, base it on scripture. It might not always resonate right away (look at the prophets). But ultimately it will. Can you build a compelling vision without scripture? Well yes you can. Otherwise there would be no successful movements or groups outside the Christian tradition. Nor would there be cults or political movements or businesses that succeed in casting vision outside faith parameters. Finally, having a scripturally sound vision will help you lead with integrity. It reminds you of your accountability to God for the leadership with which you’ve been entrusted. And it will sustain you in the good seasons and bad seasons. Fads come and go. But the Word of God stands forever. Great vision simply expresses timeless truth in a timely way. 2. No one else is excited. As in no one. A good sign your vision is going to fail is that no one else is excited about it. If you’re getting a universal flat stare from everyone around you, or a universal thumbs down, you should pay attention. Yes, you might be the one faithful person left on the planet and everyone else might be wrong. Or you might be wrong, or misguided. 3. You’re not passionate about it. Sometimes you just don’t feel passionate about a vision. I promise you, people can tell. You might be able to get traction around something you’re not passionate about, but not for long. It will fizzle as you fizzle. My team is so aware of this now that they regularly ask me if I’m passionate about a major goal we’re setting together as an organization. Because they know if I’m not, we’ll just spin our wheels as an organization until I am. Same is true of what ever you lead. Your people will never be more passionate your vision than you are. Which might explain #2 above. Specificity (say that three times out loud) inspires action. It is very difficult to rally people around an unspecific vision. 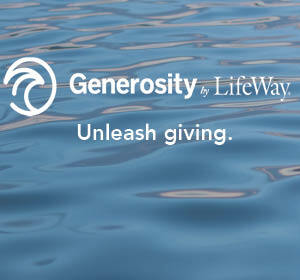 Our vision is to create a church unchurched people love to attend. The beauty of that vision is it’s clear. And naturally, the problem with the vision is that’s it’s clear. Not everyone loves it. If your vague vision (like, say “Love God. Love People.”) is too vague to rally anyone, it will mean a hundred things to a hundred people and, as a result, it will be very difficult to align people around it. 5. You can’t get it down to a 30 second elevator pitch version. You know the elevator pitch, where all your months/years of strategic planning and vision come down to your ability to pitch your idea to someone in the 30 seconds you have together in an elevator? Many leaders choke when asked to define their vision in 30 seconds or less. If it’s about 5 things, it’s about nothing. And if it’s complicated to you, I promise it’s far too complicated to them. 6. It doesn’t challenge the status quo. Every compelling vision challenges the status quo. If yours doesn’t, you’re not actually leading people anywhere. 7. It’s provoked zero opposition. As much as we all dislike opposition, a great vision will always have some. If you’re vision hasn’t provoked any opposition, it’s likely because it doesn’t propose anything significant. The best way to incite zero opposition is, of course, to do nothing significant. 8. You don’t hear it echoed. Even if you overcome all the points of opposition, you still might not have an effective vision if you don’t hear it echoed. The vision absolutely needs to come from your mouth again and again, but if it only comes from your mouth, you probably don’t have a vision that’s going anywhere. Until the vision lives in the hearts and lips of the people you lead, you really don’t have a vision that will carry your organization into the future. So what do you do if you realize you don’t have a compelling vision? 5. You’ve got a 30 second elevator pitch version. 6. It challenges the status quo. 8. You hear it echoed. If you want more, you can pick up a copy of my book about how to lead change through opposition here. Andy Stanley also wrote about how to make vision stick that you can get here. What makes for a compelling vision in your view? >> Read more from Carey.